The image below is probably my favorite illusion (in fact I wrote about it before). At a first glance it looks like a family in a room, having breakfast. Yet when the picture is shown to the people living in some rural parts of Africa, they see something different: a family having breakfast in the open, under a tree, while the mother balances a box on her head, maybe to amuse her children. This is not an optical illusion, it’s a cultural one. 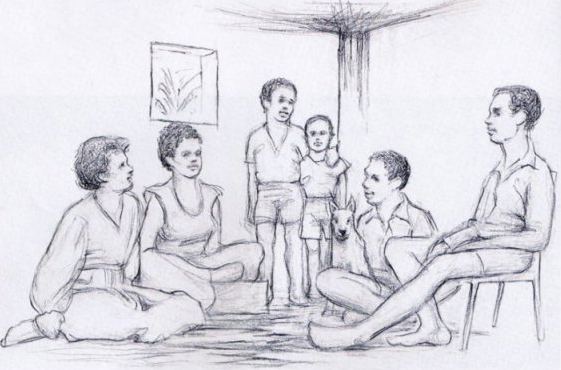 The origins of this picture are not certain, but it is not relevant here whether it has actually been used in a psychological study, nor if it shows a prejudice on life in the Third World. The force of this illustration is to underline how culture is an inevitable filter of reality. It reminds of a scene in Werner Herzog’s documentary film The Flying Doctors of East Africa (1969), in which the doctors find it hard to explain to the population that flies carry infections; showing big pictures of the insects and the descriptions of its dangers does not have much effect because people, who are not used to the conventions of our graphic representations, do not understand they are in scale, and think: “Sure, we will watch out, but around here flies are never THAT big“. Even if we would not admit it, our vision is socially conditioned. Culture is like a pair of glasses with colored lenses, quite useful in many occasions to decipher the world but deleterious in many others, and it’s hard to get rid of these glasses by mere willpower. Let’s address the issue of “freaks”: originally a derogatory term, the word has now gained a peculiar cultural charm and ,as such, I always used it with the purpose of fighting pietism and giving diversity it its just value. Any time I set out to talk about human marvels, I experienced first-hand how difficult it is to write about these people. Reflecting on the most correct angle to address the topic means to try and take off culture’s colored glasses, an almost impossible task. I often wondered if I myself have sometimes succumbed to unintended generalizations, if I unwillingly fell into a self-righteous approach. Sure enough, I have tried to tell these amazing characters’ stories through the filter of wonder: I believed that – equality being a given – the separation between the ordinary and the extra-ordinary could be turned in favor of disability. I have always liked those “deviants” who decided to take back their exotic bodies, their distance from the Norm, in some sort of freak pride that would turn the concept of handicap inside out. But is it really the most correct approach to diversity and, in some cases, disability? To what extent is this vision original, or is it just derivative from a long cultural tradition? What if the freak, despite all pride, actually just wanted an ordinary dimension, what if what he was looking for was the comfort of an average life? What is the most ethical narrative? No, it is not the disabled person who experiences him- or herself as abnormal — she or he is experienced as abnormal by others, because a whole section of human life is cut off. Thus this very existence acquires a threatening quality. One doesn’t start from the disabled persons themselves, but from one’s own experience. One asks oneself, how would I react, should a disability suddenly strike, and the answer is projected onto the disabled person. Thus one receives a completely distorted image. Because it is not the other fellow that one sees, but oneself. As much as the idea of a freak pride is dear to me, it may well be another subconscious projection: I may just like to think that I would react to disability that way… and yet one more time I am not addressing the different person, but rather my own romantic and unrealistic idea of diversity. We cannot obviously look through the eyes of a disabled person, there is an insuperable barrier, but it is the same that ultimately separates all human beings. The “what would I do in that situation?” Saal talks about, the act of projecting ourselves onto others, that is something we endlessly do and not just with the disabled. The figure of the freak has always been ambiguous – or, better, what is hard to understand is our own gaze on the freak. I think it is therefore important to trace the origins of this gaze, to understand how it evolved: we could even discover that this thing we call disability is actually nothing more than another cultural product, an illusion we are “trained” to recognize in much the same way we see the family having breakfast inside a living room rather than out in the open. In my defense, I will say this: if it is possible for me to imagine a freak pride, it is because the very concept of freak does not come out of the blue, and does not even entail disability. 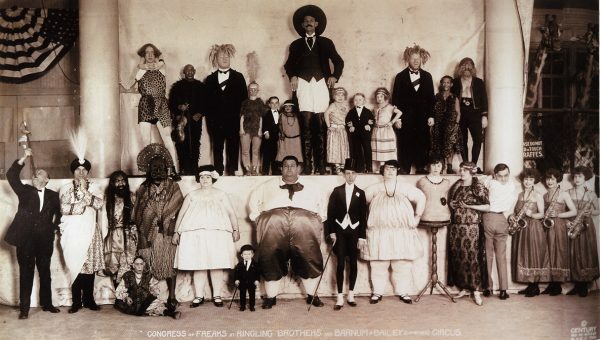 Many people working in freakshows were also disabled, others were not. That was not the point. The real characteristics that brought those people on stage was the sense of wonder they could evoke: some bodies were admired, others caused scandal (as they were seen as unbearably obscene), but the public bought the ticket to be shocked, amazed and shaken in their own certainties. 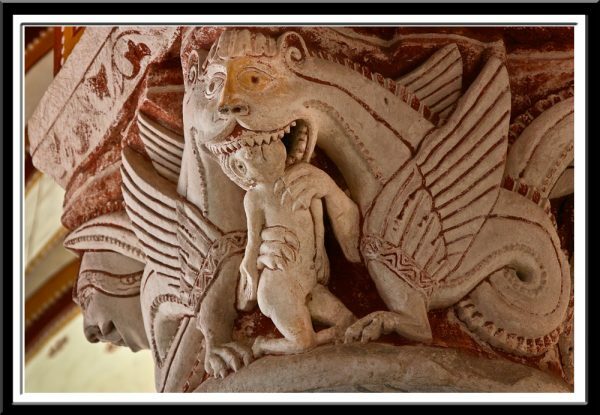 In ancient times, the monstrum was a divine sign (it shares its etymological root with the Italian verb mostrare, “to show”), which had to be interpreted – and very often feared, as a warning of doom. If the monstruous sign was usually seen as bearer of misfortune, some disabilities were not (for instance blindness and lunacy, which were considered forms of clairvoyance, see V. Amendolagine, Da castigo degli dei a diversamente abili: l’identità sociale del disabile nel corso del tempo, 2014). During the Middle Ages the problem of deformity becomes much more complex: on one hand physiognomy suggested a correlation between ugliness and a corrupted soul, and literature shows many examples of enemies being libeled through the description of their physical defects; on the other, theologians and philosophers (Saint Augustine above all) considered deformity as just another example of Man’s penal condition on this earth, so much so that in the Resurrection all signs of it would be erased (J.Ziegler in Deformità fisica e identità della persona tra medioevo ed età moderna, 2015); some Christian female saints even went to the extreme of invoking deformity as a penance (see my Ecstatic Bodies: Hagiography and Eroticism). Being deformed also precluded the access to priesthood (ordo clericalis) on the basis of a famous passage from the Leviticus, in which offering sacrifice on the altar is forbidden to those who have imperfect bodies (P. Ostinelli, Deformità fisica…, 2015). The monstrum becoming mirabile, worthy of admiration, is a more modern idea, but that was around well before traveling circuses, before Tod Browning’s “One of us!“, and before hippie counterculture seized it: this concept is opposed to the other great modern invention in regard to disability, which is commiseration. The whole history of our relationship with disability fluctuates between these two poles: admiration and pity. While this list can certainly be discussed, it has the merit of tracing some possible distinctions. Among all the kinds of gaze listed here, the most bothering might be the pitying gaze. Because it implies the observer’s superiority, and a definitive judgment on a condition which, to the eyes of the “normal” person, cannot seem but tragic: it expresses a self-righteous, intimate certainty that the other is a poor cripple who is to be pitied. The underlying thought is that there can be no luck, no happiness in being different. The concept of poor cripple, which (although hidden behind more politically correct words) is at the core of all fund-raising marathons, is still deeply rooted in our culture, and conveys a distorted vision of charity – often more focused on our own “pious deed” than on people with disabilities. 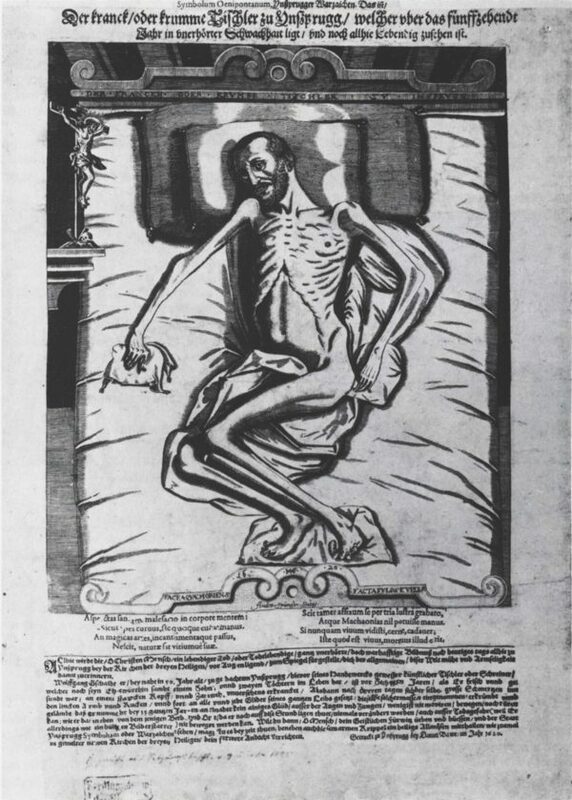 As for the pitying gaze, the most ancient historical example we know of is this 1620 print, kept at the Tiroler Landesmuseum Ferdinandeum in Innsbruck, which shows a disabled carpenter called Wolffgang Gschaiter lying in his bed. The text explains how this man, after suffering unbearable pain to his left arm and back for three days, found himself completely paralyzed. For fifteen years, the print tells us, he was only able to move his eyes and tongue. 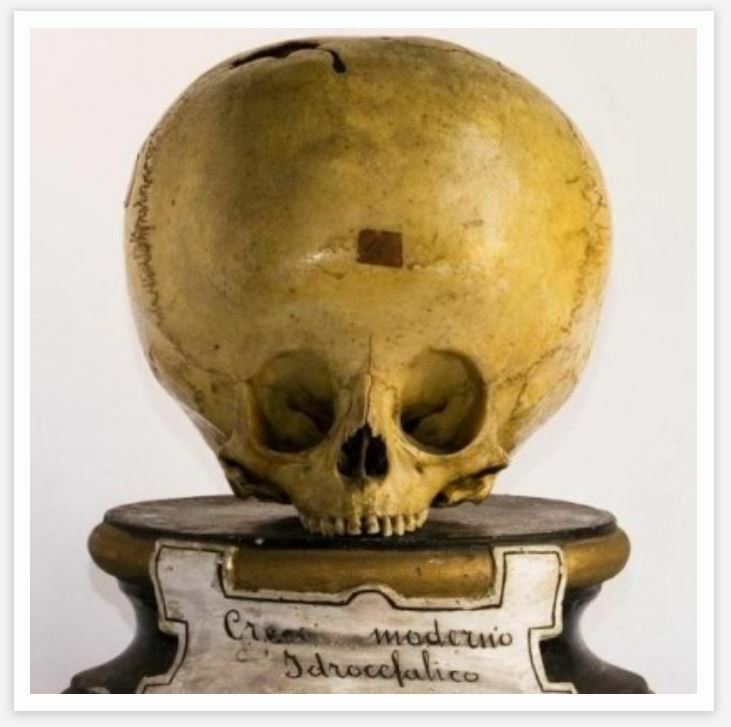 The purpose of this paper is to collect donations and charity money, and the readers are invited to pray for him in the nearby church of the Three Saints in Dreiheiligen. This pamphlet is interesting for several reasons: in the text, disability is explicitly described as a “mirror” of the observer’s own misery, therefore establishing the idea that one must think of himself as he is watching it; a distinction is made between body and soul to reinforce drama (the carpenter’s soul can be saved, his body cannot); the expression “poor cripple” is recorded for the first time. But most of all this little piece of paper is one of the very first examples of mass communication in which disability is associated with the idea of donations, of fund raising. Basically what we see here is a proto-telethon, focusing on charity and church prayers to cleanse public conscience, and at the same time an instrument in line with the Counter-Reformation ideological propaganda (see V. Schönwiese, The Social Gaze at People with Disabilities, 2007). During the previous century, another kind of gaze already developed: the clinical-anatomical gaze. This 1538 engraving by Albrecht Dürer shows a woman lying on a table, while an artist meticulously draws the contour of her body. Between the two figures stands a framework, on which some stretched-out strings divide the painter’s vision in small squares so that he can accurately transpose it on a piece of paper equipped with the same grid. Each curve, each detail is broke down and replicated thanks to this device: vision becomes the leading sense, and is organized in an aseptic, geometric, purely formal frame. This was the phase in which a real cartography of the human body was developed, and in this context deformity was studied in much the same manner. This is the “astonished and medical gaze“, which shows no sign of ethical or pitying judgment, but whose ideology is actually one of mapping, dividing, categorizing and ultimately dominating every possible variable of the cosmos. In the wunderkammer of Ferdinand II, Archduke of Austria (1529-1595), inside Ambras Castle near Innsbruck, there is a truly exceptional portrait. 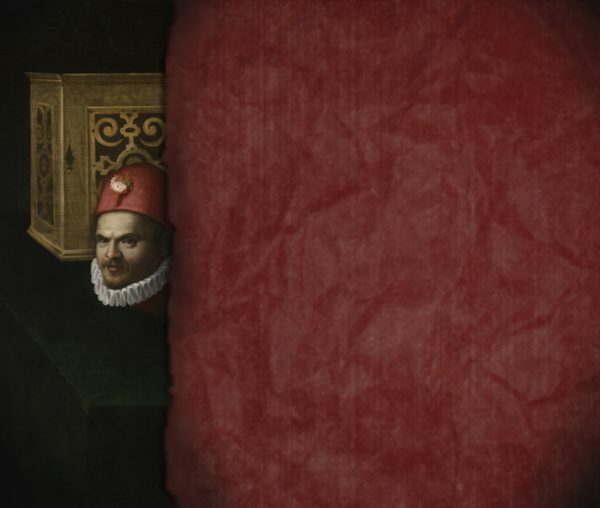 A portion of the painting was originally covered by a red paper curtain: those visiting the collection in the Sixteenth Century might have seen something close to this reconstruction. Those willing and brave enough could pull the paper aside to admire the whole picture: thus the subject’s limp and deformed body appeared, portrayed in raw detail and with coarse realism. 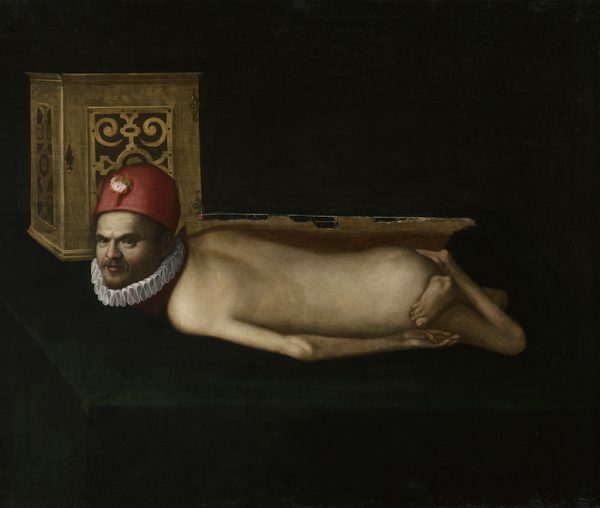 What Fifteen-Century observers saw in this painting, we cannot know for sure. To understand how views are relative, it suffices to remind that at the time “human marvels” included for instance foreigners from exotic countries, and a sub-category of foreigners were cretins who were said to inhabit certain geographic regions. 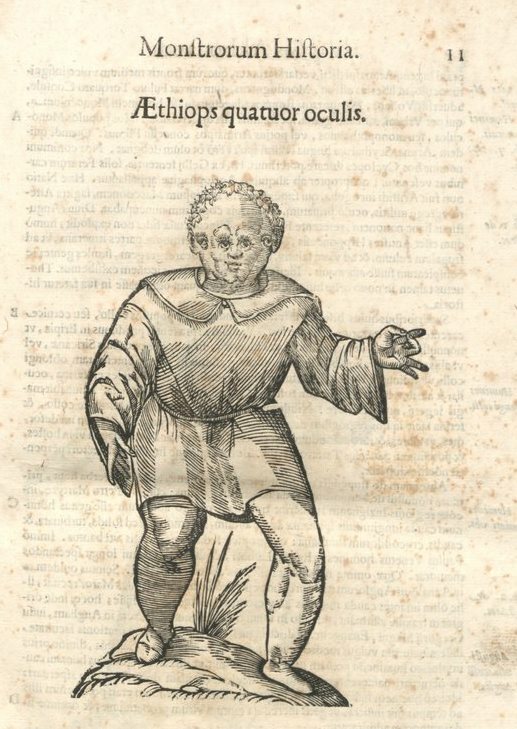 In books like Giovan Battista de’ Cavalieri’s Opera ne la quale vi è molti Mostri de tute le parti del mondo antichi et moderni (1585), people with disabilities can be found alongside monstruous apparitions, legless persons are depicted next to mythological Chimeras, etc. But the red paper curtain in the Ambras portrait is an important signal, because it means that such a body was on one hand considered obscene, capable of upsetting the spectator’s senibility. On the other hand, the bravest or most curious onlookers could face the whole image. This leads us to believe that monstrosity in the Sixteenth Century had at least partially been released from the idea of prodigy, and freed from the previous centuries superstitions. This painting is therefore a perfect example of “astonished and medical” gaze; from deformity as mirabilia to proper admiration, it’s a short step. And yet, here we run the risk of falling into the opposite trap, an excessive idealization. It may well be because of my peculiar allergy to the concept of “heroes”, but I am not interested in giving hagiographic versions of the life of human marvels. All these thoughts which I have shared with you, lead me to believe there is no easy balance. One cannot talk about freaks without running into some kind of mistake, some generalization, without falling victim to the deception of colored glasses. Every communication between us and those with different/disabled bodies happens in a sort of limbo, where our gaze meets theirs. And in this space, there cannot ever be a really authentic confrontation, because from a physical perspective we are separated by experiences too far apart. I will never be able to understand other people’s body, and neither will they. But maybe this distance is exactly what draws us together. Let’s consider the only reference we have – our own body – and try to break the habit. Our bodies are unknowable territories. We can dismantle them, cut them up into ever smaller parts, study their obsessive geometries, meticulously map every anatomical detail, rummage in their entrails… and their secret will continue to escape us. We stare at our hands. We explore our teeth with our tongues. We touch our hair. Here is the ultimate mind exercise, my personal solution to the freaks’ riddle: the only sincere and honest way I can find to relate diversity is to make it universal. 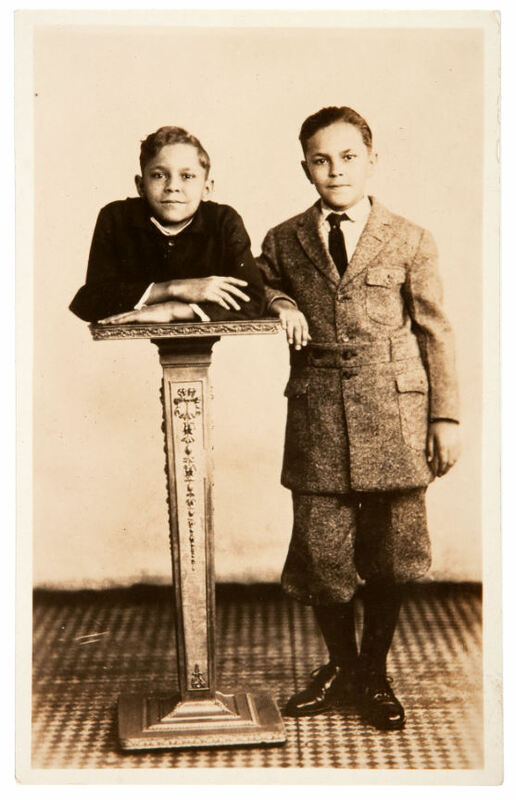 Johnny Eck woke up in this world without the lower limbs; his brother, on the contrary, emerged from the confusion of shapes with two legs. I too am equipped with feet, including toes I can observe, down there, as they move whenever I want them to. Are those toes still me? I ignore the reach of my own identity, and if there is an exact point where its extension begins. On closer view, my experience and Johnny’s are different yet equally mysterious. We are all brothers in the enigma of the flesh. I would like to ideally sit with him — with the freak, with the “monster” — out on the porch of memories, before the sunset of our lives. ‘So, what did you think of this strange trip? Of this strange place we wound up in?’, I would ask him. And I am sure that his smile would be like mine. The search for wonder is far more complex than simple entertainment or superstition, and it grows along with collective spirituality. Every era has its own monsters; but the modern use of monstrosity in the horror genre or in similar contexts, makes it hard for us to understand that the monster, in the past, was meant to educate, to establish a reference in the mind of the end-user of the bizarre. 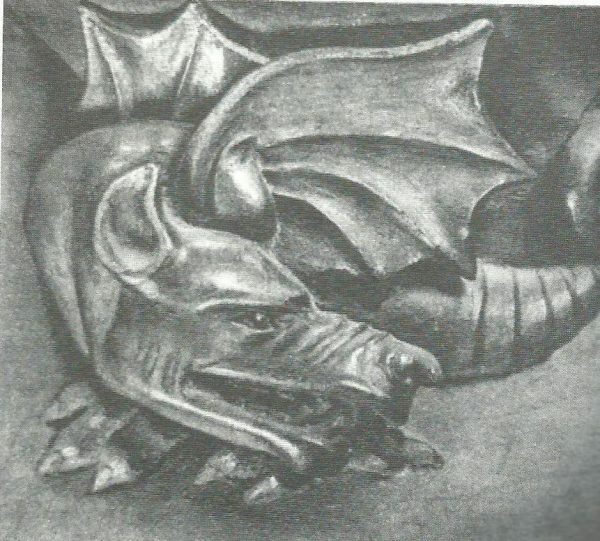 Dragons, Chimeras, demons or simply animals, even if they originated from the primordial repulsion for ugliness, have been functional to spirituality (in the sense of searching for the “right way to live”), especially in Catholicism. Teratology populated every possible space, not unlike advertising does nowadays. We are not referring here to the figure of monsters in fairy tales, where popular tradition used the scare value to set moral standards; the image of the monster has a much older and richer history than the folk tale, as it was found in books and architecture alike, originating from the ancient fear of the unknown. The fact that today we use the expressions “fantastic!” or “wonderful!” almost exclusively in a positive sense, probably comes from the monster’s transition from an iconographic, artistic element to a simple legacy of a magical, child-like world. Those monsters devouring men and women on capitals and bas-reliefs, or vomiting water in monumental fountains, do not have a strong effect on us anymore, if not as a striking heritage of a time in which fantasy was powerful and morality pretty anxious. But the monster was much more than this. The Middle Ages, on the account of a symbolic interpretation of reality (the collective imagination was not meant to entertain, but was a fundamental part of life), established an extremely inspired creative ground out of monstrous figures, as these magical creatures crowded not only tales and beliefs (those we find for instance in Boccaccio and his salacious short stories about gullible characters) but also the spaces, the objects, the walls. The monster had to admonish about powers, duties, responibilities and, of course, provide a picture of the torments of Hell. Chimeras, gryphons, unicorns, sirens, they all come from the iconographic and classical literary heritage (one of the principal sources was the Physiologus, a compendium of animals and plants, both actual and fantastic, written in the first centuries AD and widespread in the Middle Ages) and start to appear in sculptures, frescos, and medieval bas-reliefs. This polychrome teratological repertoire of ancient times was then filtered and elaborated through the christian ethics, so that each monster, each wonder would coincide with an allegory of sin, a christological metaphore, or a diabolical form. The monkey, for instance, which was already considered the ugliest of all animals by the Greeks, became the most faithful depiction of evil and falsehood, being a (failed) image of the human being, an awkward caricature devised by the Devil; centaurs, on the other hand, were shown on the Partenone friezes as violent and belligerous barbarians — an antithesis of civil human beings — but later became a symbol of the double nature of Christ, both human and divine. Nature became a mirror for the biblical truth. Capital, Church of Sant’Eufemia, Piacenza, XII century. 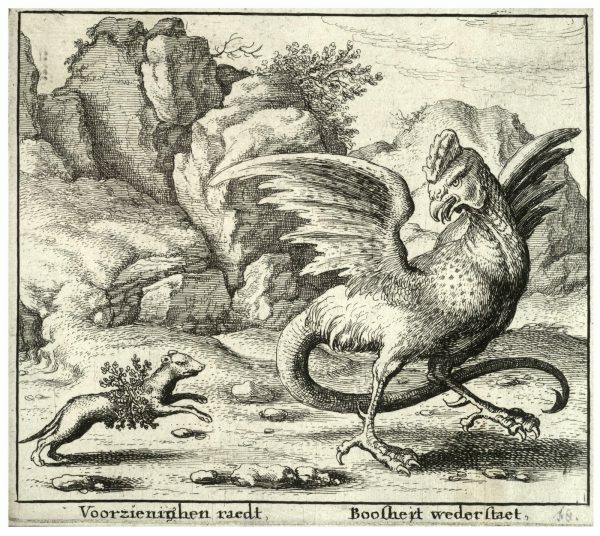 Bestiaries are maybe the most interesting example of the medieval transfiguration of reality through a christian perspective; the fact that, in the same book, real animals are examined together with imaginary beasts (even in the XVI century the great naturalist Ulisse Aldrovandi included in his wonderful Monstrorum historia a catalogue of bizarre humanoid monsters) clearly shows the medieval viewpoint, according to which everything is instilled with the same absolute truth, the ultimate good to which the faithful must aim. Fear and horror were certainly among the principal vectors used by the Church to impress the believers (doctrine was no dialogue, but rather a passive fruition of iconographic knowledge according to the intents of commissioners and artistis), but probably in the sculptors’ and architects’ educational project were also included irony, wonder, laughter. The Devil, for instance, besides being horrible, often shows hilarious and vulgar behaviors, which could come from Carnival festivities of the time. The dense decorations and monstrous incisions encapsulate all the fervid life of the Middle Ages, with its anguish, its fear of death, the mortification of the flesh through which the idea of a second life was maintained and strenghtened; but in these images we also find some giggly outbursts, some jokes, some vicious humor. 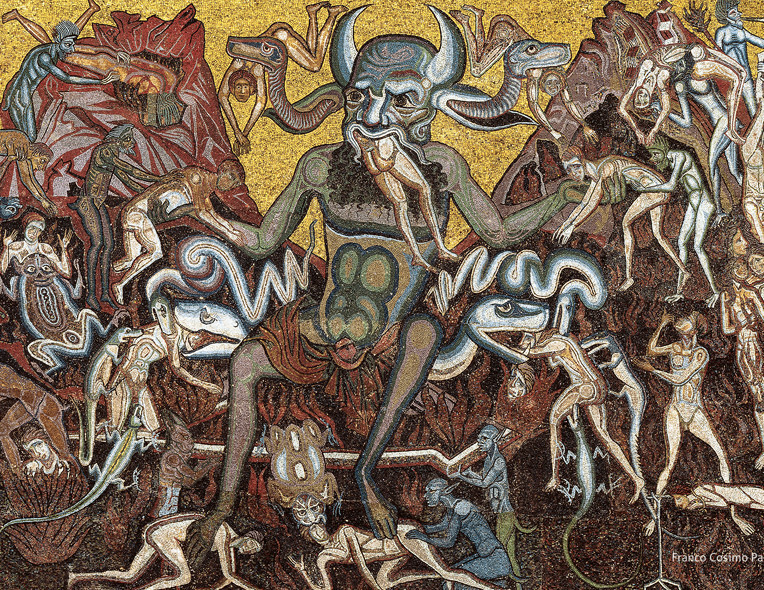 It’s hard to imagine how Bosch‘s works were perceived at the time; but his thick mass of rat-demons, winged toads and insectoid buffoons was the result of an inconographic tradition that predated him by centuries. The monsters, in the work of this great painter, already show some elements of caricature, exaggeration, mannerism; they are no longer scary. Ulisse Aldrovandi, page form the Monstorum Historia. Coppo di Marcovaldo, mosaic in the San Giovanni Baptistery (Firenze), XII century. A splendid example of the “monstrous pedagogy” which adorned not only vast and imposing interiors but even the objects themselves, are the stalls, the seats used by cardinals during official functions. 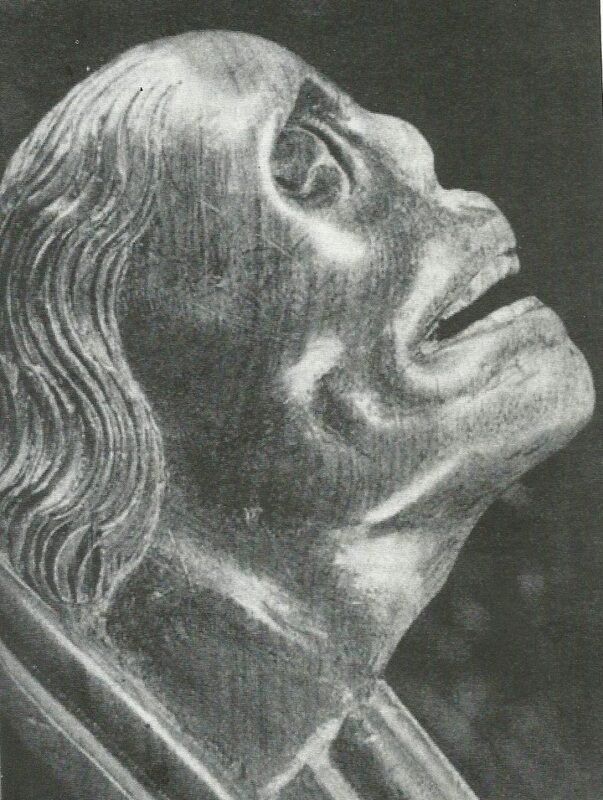 In her essay Anima e forma – studi sulle rappresentazioni dell’invisibile, professor Ave Appiani examines the stalls of the collegiate Church of Sant’Orso in Aosta, work of an anonymous sculptor under the priorate of Giorgio di Chillant (end of XV century). 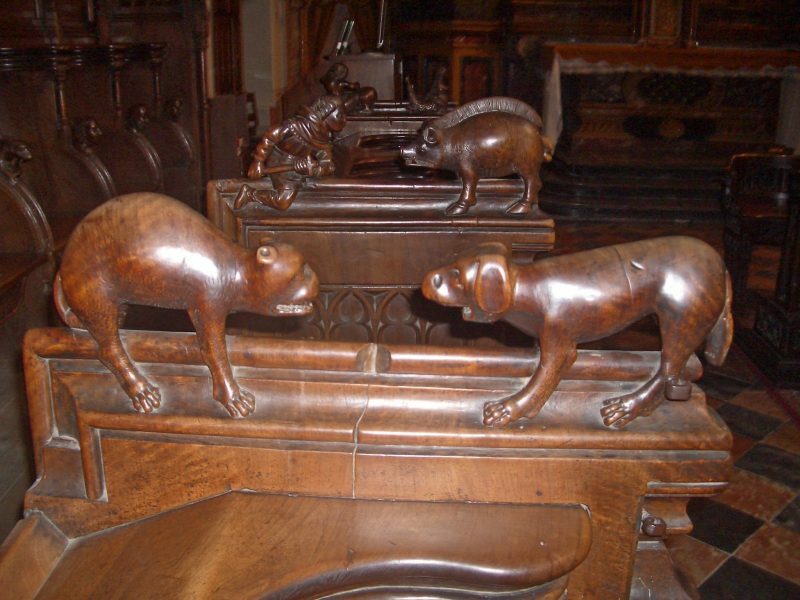 The seatbacks, the arms, the handrests and the misericordie (little shelves one could lean against while standing up during long ceremonies) are all finely engraved in the shape of monsters, animals, grotesque faces. 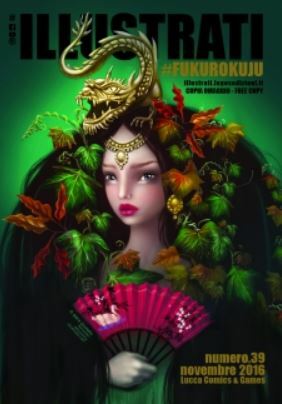 Demons, turtles, snails, dragons, cloaked monks and basilisks offered a great and educated bestiary to the viewer of this symbolic pedagogy, perfectly and organically fused with the human environment. Similar decorations could also be admired, some decades earlier, inside the Aosta Cathedral. Stalls, Aosta, Sant’Orso, end of XV century. The dragon, “misericordia”, 1469, Aosta Cathedral. Handrest, Aosta, Sant’Orso, end of XV century. Who knows what kind of reaction this vast and ancient teratology could arouse in the believers — if only one of horror, or also curiosity and amusement; who knows if the approach of the cultivated man who sculpted this stalls — without doubt an expert of the symbolic traditions filtered through texts and legends — was serious or humorous, as he carved these eternal shapes in the wood. 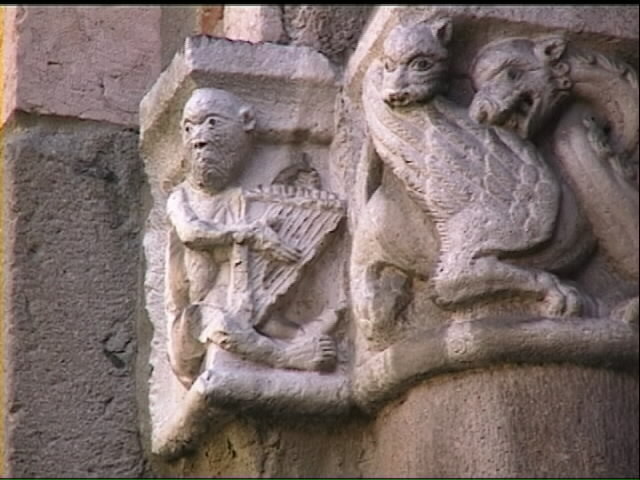 What did the people think before all the gargoyles, the insects, the animals living in faraway and almost mythical lands? 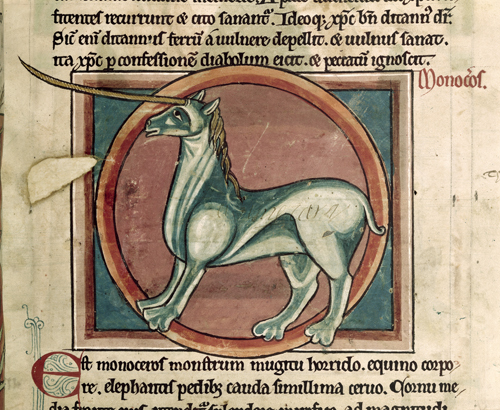 The lion, king of the animals, was Christ, king of mankind; the boar, dwelling in the woods, was associated with the spiritual coarseness of pagans, and thus was often hunted down in the iconography; the mouse was a voracious inhabitant of the night, symbol of diabolical greed; the unicorn, attracted by chastity, after showing up in Oriental and European legends alike, came to be depicted by the side of the Virgin Mary. Every human being finds himself tangled up in a multitude of symbols, because Death is lurking and before him man will end his earthly existence, and right there will he measure his past and evaluate his own actions. 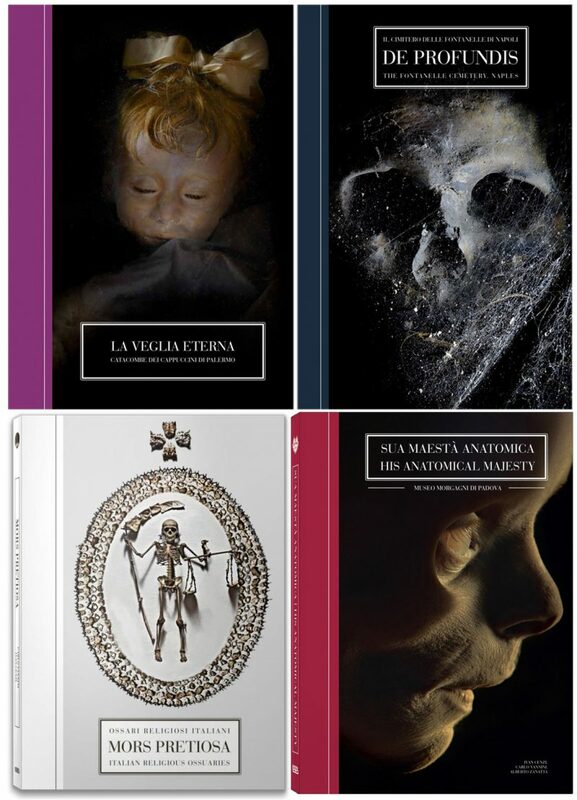 […] These are all metaphorical scenes, little tales, and just like Aesop’s fables, profusely illustrated between the Middle Ages and the Renaissance for that matter, they always show a moral which can be transcribed in terms of human actions. So, today, how do we feel about monsters? What instruments do we have to consider the “right way to live”, since we are ever more illiterate and anonymous in giving meaning to the shape of things? 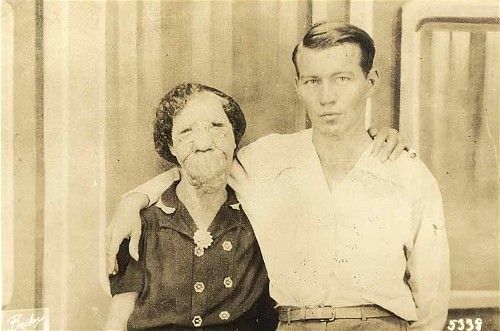 It may well be that, even if we consider ourselves free from the superstitious terror of committing sin, we still have something to learn from those distant, imaginative times, when the folk tale encountered the cultivated milieu in the effort to give fear a shape – and thus, at least temporarily, dominate it.